Source: Greenwich News and Graphic. February 6, 1916. Page 7. Joshua Mead died Sunday night at his home in Round Hill following an illness of some duration. 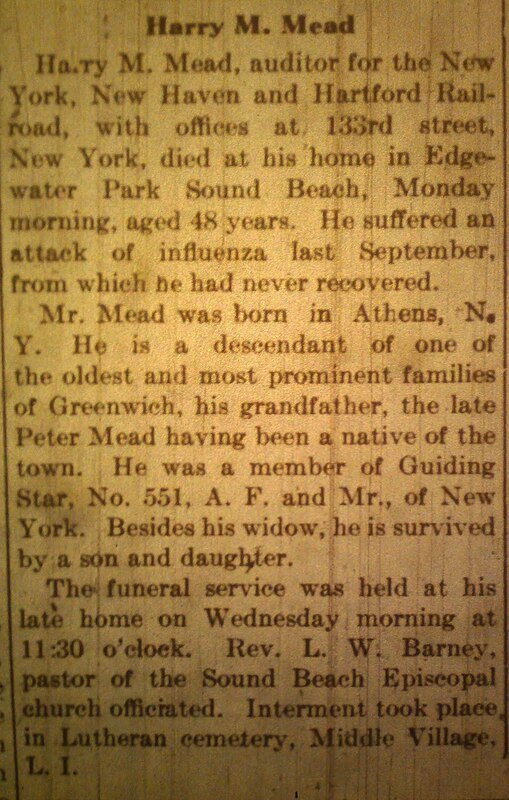 The deceased was well-known in Greenwich as well as in surrounding towns, having been a life-long resident here. His life was spent in farming, in which industry he was well versed. 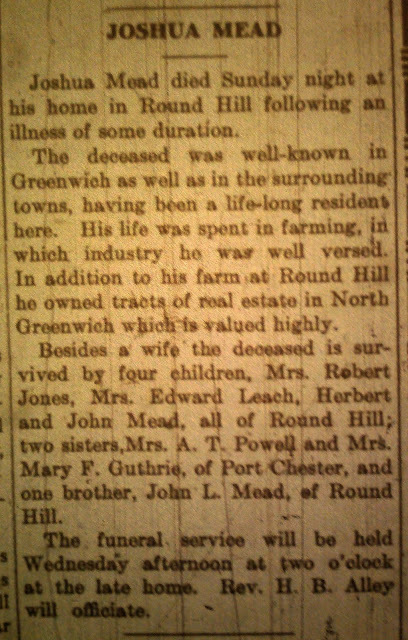 In addition to his farm at Round Hill he owned tracts of real estate in North Greenwich which is valued highly. Besides a wife the deceased is survived by four children, Mrs. Robert Jones, Mrs. Edward Leach, Herbert and John Mead, all of Round Hill; two sisters, Mrs. Guthrie of Port Chester, and one brother, John L. Mead, of Round Hill. The funeral service will be held Wednesday afternoon at two o'clock at the late home. Rev. H.B. Alley will officiate. Thank you, Mead family descendants, friends and visitors around the world! We hope that you've enjoyed the bits of history that we post here! Fear not; we do not leave the past behind. There is more to come in 2016. With the end of the year upon us. We are asking your help. 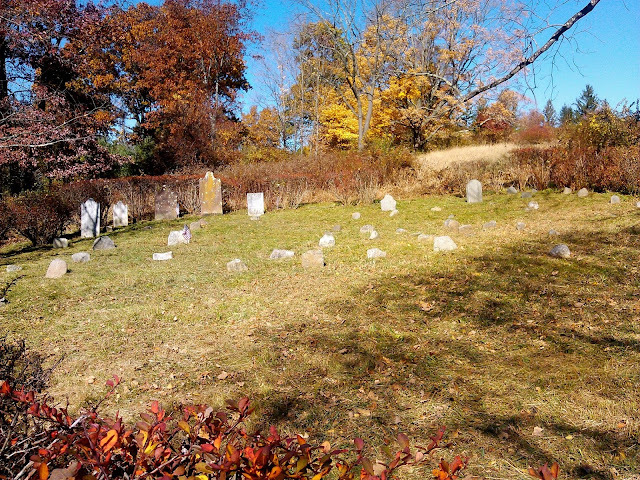 Please spread the word to our many family descendants everywhere that their help is needed in the preservation and maintenance of the family burying grounds in Greenwich. Please tell them that these sites were at one time overgrown and neglected. Through our unique web site and history blog the Association is bringing Mead family history to descendants everywhere. No other Greenwich CT family is doing anything like this. Our current needs include continued grass-cutting maintenance and tree work. Donations of any amount and within the means of the giver are appreciated. We are a far-flung group and many descendants nationwide and beyond. Small donations have a great way of adding up. Source: Greenwich News and Graphic. 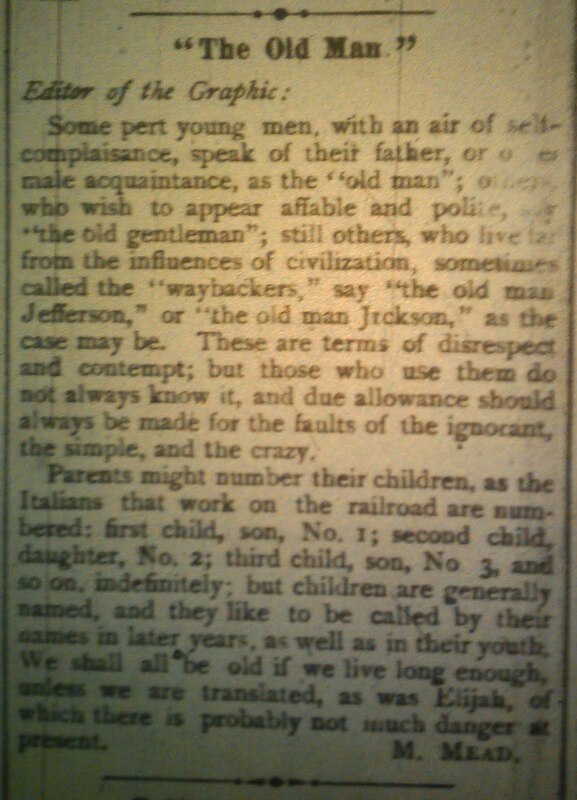 (Second Section) Friday, November 8, 1929. Mention was made in the article published last week in Friday's issue of The Greenwich News and Graphic of Capt. 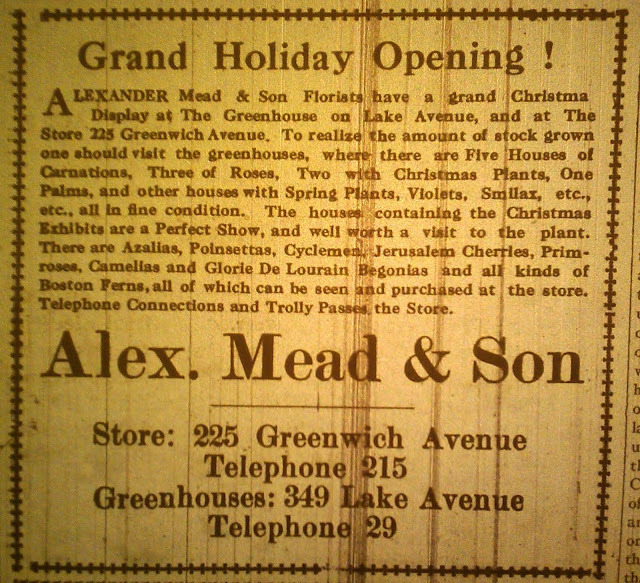 Joseph G. Mead, the genial owner of the building located on Putnam Avenue, where the Greenwich Graphic was printed for several years. he was an unusual type of man, or would be if living at the present time. In his day and generation, most of the prominent men living in Greenwich were of similar personality. The kind of men whom the Rev. Dr. Benjamin W. Farrington, for 55 years rector of Christ Episcopal Church once told the writer, were devout, strong mentally and physically, dependable, kind neighbors, generous and sympathetic to those in need, when he was engaged as minister in charge of Christ Church parish in 1833, and for many years afterwards, not a few of them were personally known to the writer, and in interesting talks with them, much of the historical information forming the basis of the articles on Greenwich Life, published in the News and Graphic was learned. Capt. 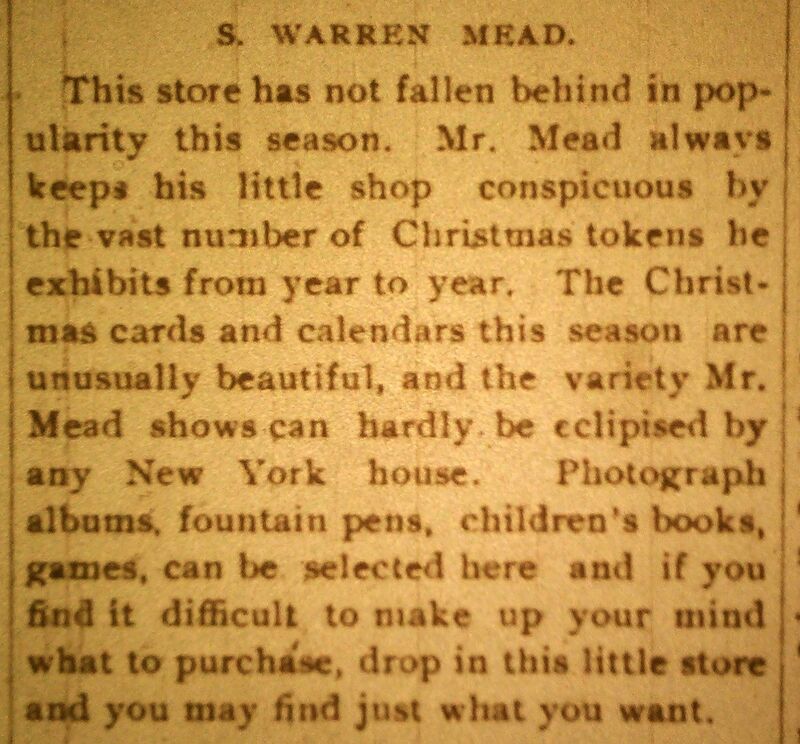 Joseph G. Mead was that kind of man. 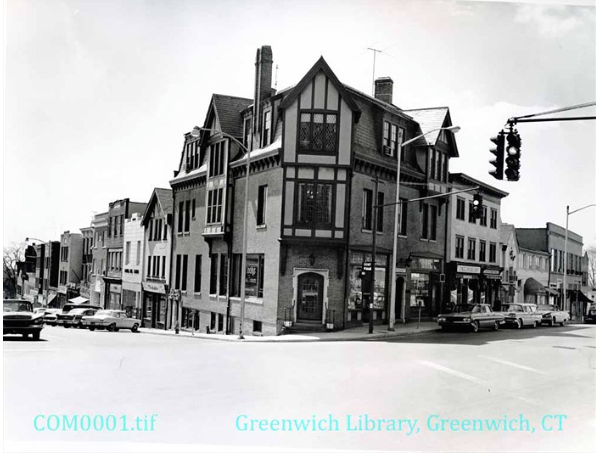 Conservative, he was, most certainly, believing firmly in the traditions of his ancestors, wicking no change in the quiet, rural life of the community, the sentiment generally prevailing among the Greenwich residents in his day. And it is no wonder that they felt that way, for Greenwich was certainly an alluring old town then, with beauties of nature to be seen at all seasons of the year, many of which exist now only in the memory of Old Timers, having been obliterated by the changes resulting from Greenwich becoming the most widely known suburban town in the vicinity of New York City, and the increasing population resulting. Capt. Joseph G. Mead was of medium height, broad shouldered and rugged, made so, doubtless, because of his life as a sailor, having been captain of a coasting schooner, plying between Davis Dock, Greenwich, and New York City, carrying cargoes of Greenwich produce to the New York City market. 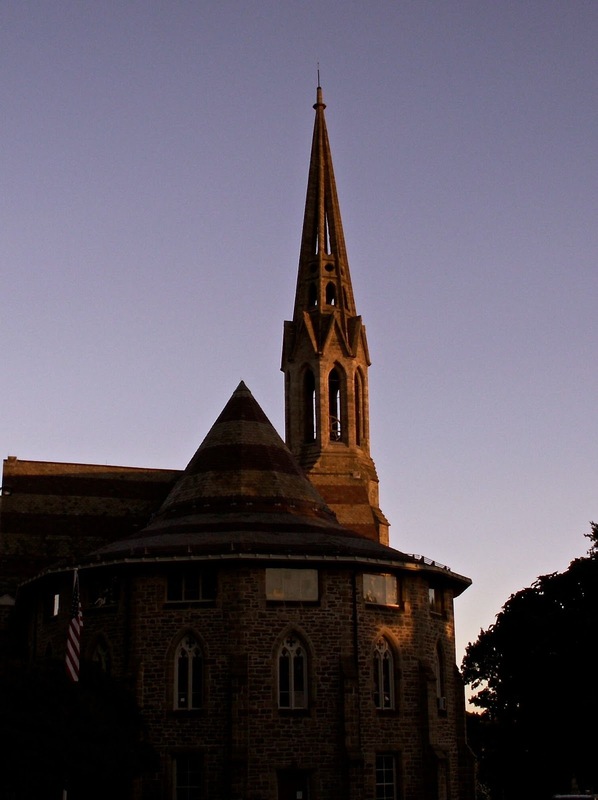 For many years he was a prominent member of the Second Congregational Church occupying an important position in the religious activities of the community. 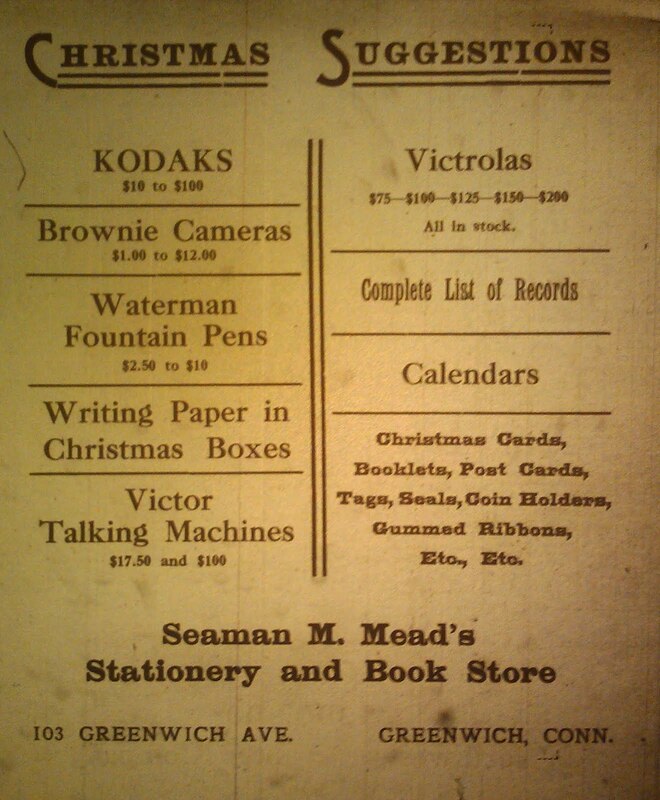 He lived with his wife and family of several sons and daughters, in a large square house, always painted white, surrounded by several acres of land, located on Putnam Avenue just west of the building where the Greenwich Graphic was printed. It was a noticeable old place because of the somewhat fascinating rural charm about it, and though the house is still standing and occupied by members of his family, all that has disappeared, the noise of automobiles, and the stir in the business buildings now hemming in the attractive old homestead replacing the hum of the busy lonely bees, and the sight of the gorgeously colored butterflies that flitted from blossom to blossom, of the little flowers growing in the old fashioned garden. Capt. Mead also ran a quarry on the north side of Toll Gate Hill, maintaining a prosperous business for a number of years. So it will be realized that he was a very important man in the community. 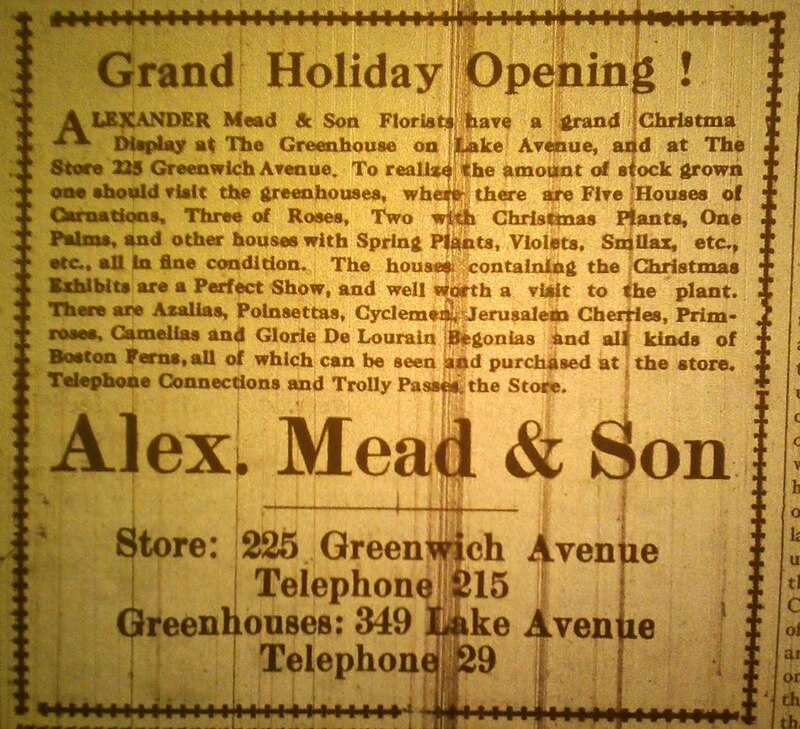 And some of the members of his family have also been quite prominently identified with Greenwich life. The late Capt. Joseph G. Mead, Jr., his son, was captain of Company G, the "crack" company of the "crack" 4th regiment, Connecticut National Guards, at the time Husted W.R. Hoyt, of Greenwich, one of the noted lawyers of this state was Colonel, when the regiment went to Philadelphia to participate in the Centennial celebration the 4th of July, 1876. Frank, son of Capt. 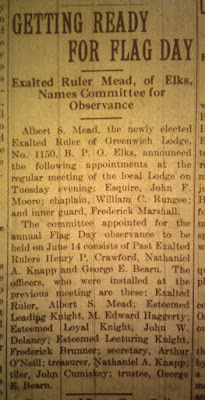 Joseph G. Mead, past master of Acacia Lodge, F. and A.M., has been a popular member of Amogerone H. & L. & H. Co. for years and was chief of the fire department for sometime, and Miss Emma Mead, a daughter, recently resigned from Greenwich Post Office, where she filled an important position with marked ability, for many years. In concluding, "Bert," famous grandson of Capt. 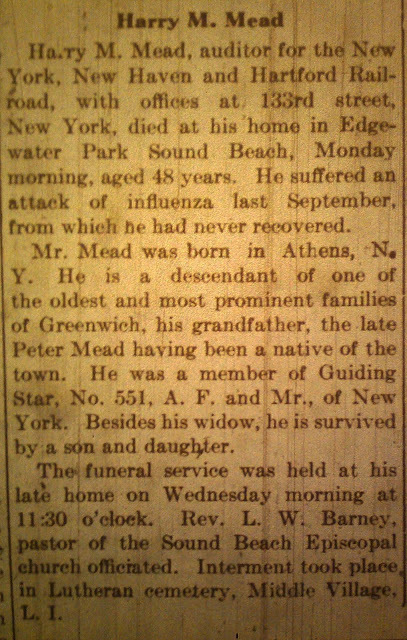 Joseph G. Mead, son of Capt. Joseph G. Mead, Jr., the very efficient clerk of the Board of Sewer Commissioners, should not be forgotten. Marriages made "Bert" a famous young man, his name appearing in more first page articles of New York newspapers for a number of years than any other Greenwich resident. 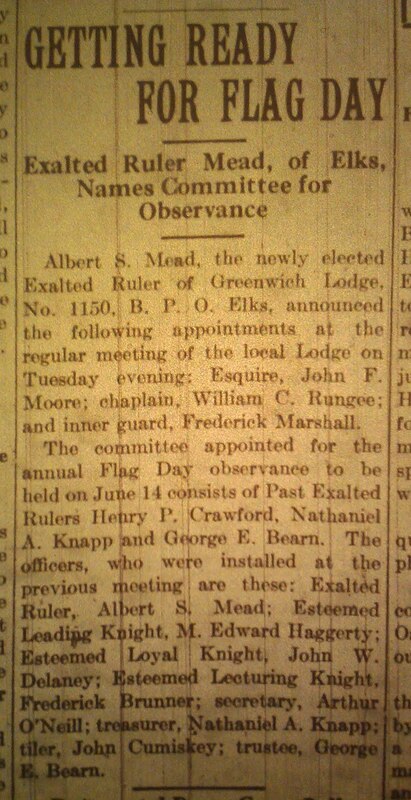 As Justice of the Peace for eight years he became known as the marrying justice because elf newspaper prominence many couples coming to Greenwich from New York to be married by the genial "Bert." They came to Greenwich because of the liberality of the Connecticut marriage law, not so liberal now by legislative act. There were not many Gretna Green marriages among them, marriage of runaway couples, but knots for actors and actresses and with few exceptions they have lived happily ever since, that is happily in most cases. "How many marriages did you perform," the writer asked "Bert." "Can't say," was the reply, "but it was several hundred." "Suppose you received some large fees," further queried the writer. "Not many. The largest was $200.00." "Bert" is not marrying couples now. He is no longer Justice of the peace, and the business is not what it used to be before the law was changed, a few couples coming to Greenwich to get married. Source: Greenwich Graphic: Saturday, May 8, 1890. 3rd Page. Tin weddings are usually very pleasant affairs, and that of Mr. and Mrs. S. Irving Mead which was celebrated on Tuesday evening at their residence near Stanwich, was no exception to this rule. 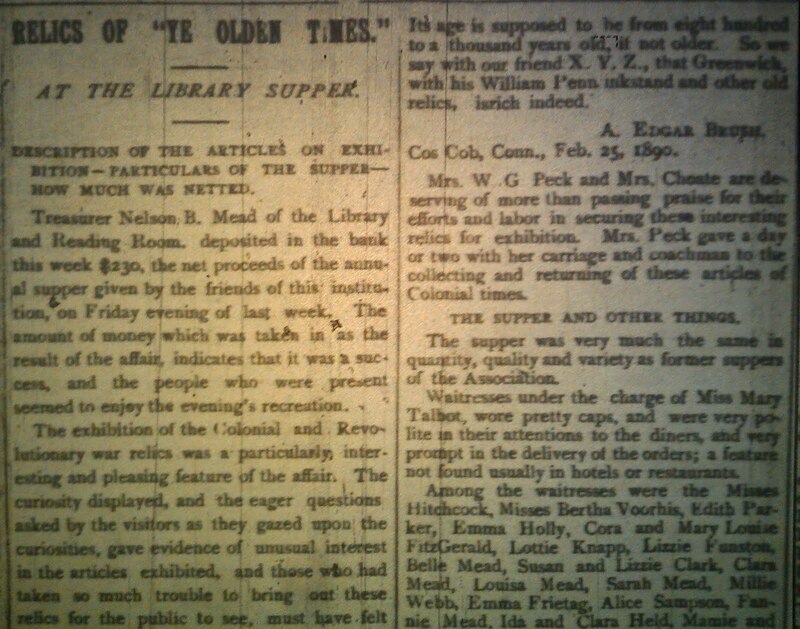 About thirty people were warmly received, and hospitality entertained by Mr. and Mrs. Mead on that evening. Many more had been invited, but owing to sickness and other causes were unable to attend. The evening was spent in social pleasures customary at such times. A bountiful collation was spread, enough for three times the number of people present. 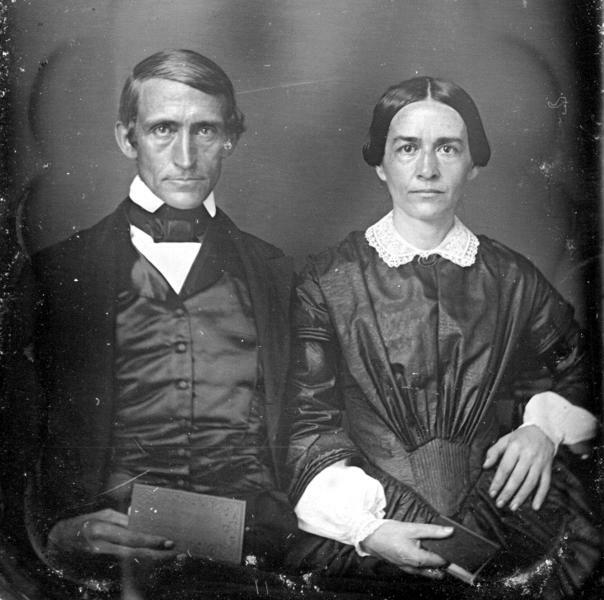 Mr. and Mrs. Mead received many letter of congratulations, and they were wished "many happy returns of the day" in messages from those unable to be present. They also received many pleasant remembrances, mostly ___ as befitting the occasion, such as tin spice boxes filled with spice from Mr. and Mrs. C. Mead; a tin pan filled with cut flowers from their bachelor friend Mr. W.J. 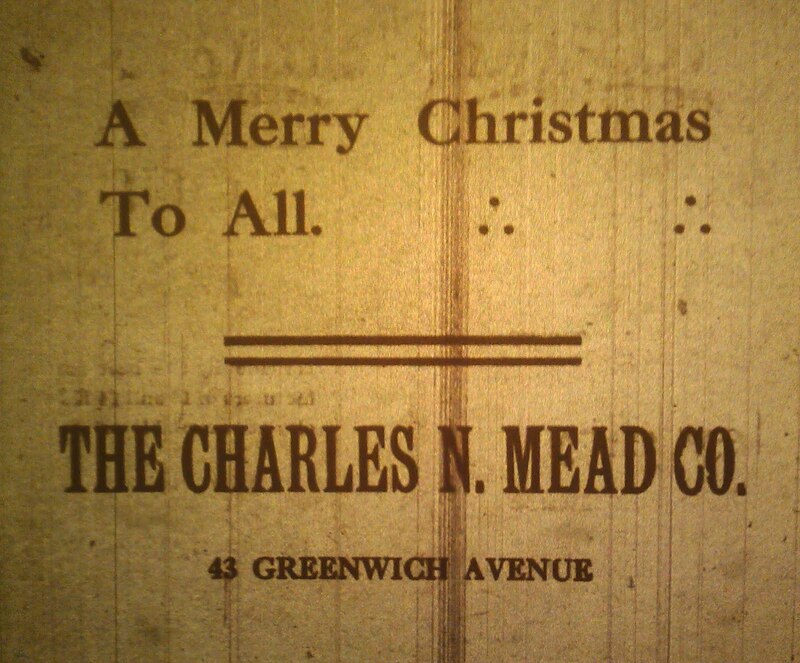 Mead, Jr.; a tin cake box filled with cake from Mr. and Mrs. Will J. Mead; a parlor lamp, not tin from Mr. and Mrs. Smith Fowler; a cake basket from Mr. and Mrs. Colgrove; a patent dripping pan from rev. and Mrs. Potter; a bread raiser, a big tin one, from Dr. B.E. Mead; a night lamp from Mr. and Mrs. E reynolds; some tin ware from Miss S. Hubbard, a hand painted tin plaque from Miss Finch; a porcelain coffee pot, from Mr. and Mrs. L. ferris; some spice boxes from Miss S. Reynolds; tin syrup cup from Mr. and Mrs. Farrington; a sugar spoon from Miss G. Snyder, and numerous other articles from friends such as, jelly glasses, glass tea set, soap shaker, etc. The guests on their departure expressed themselves to the host and hostesses having spent a pleasant evening, and hoped that they would live to celebrate their golden and diamond weddings. Source: Greenwich News. Friday, January 7, 1910. 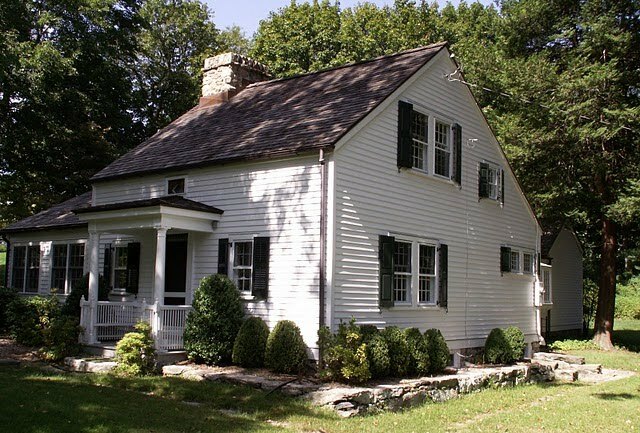 On New Year's day the Putnam Cottage was the scene of a most pleasing reception to everyone interested in the historic and to the public at large. 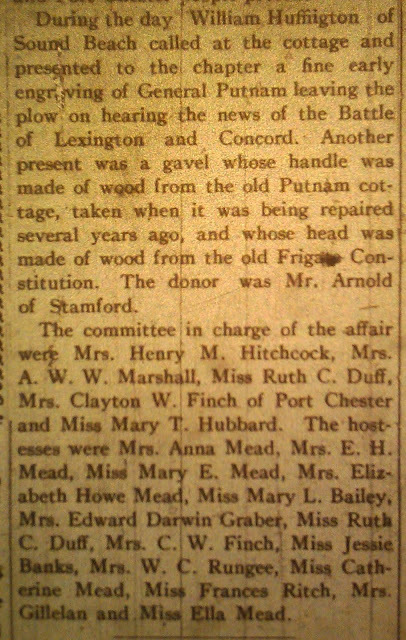 The cottage was open both morning and afternoon, and scores of people were cordially welcomed by the members of Putnam Hill Chapter, D.A.R. 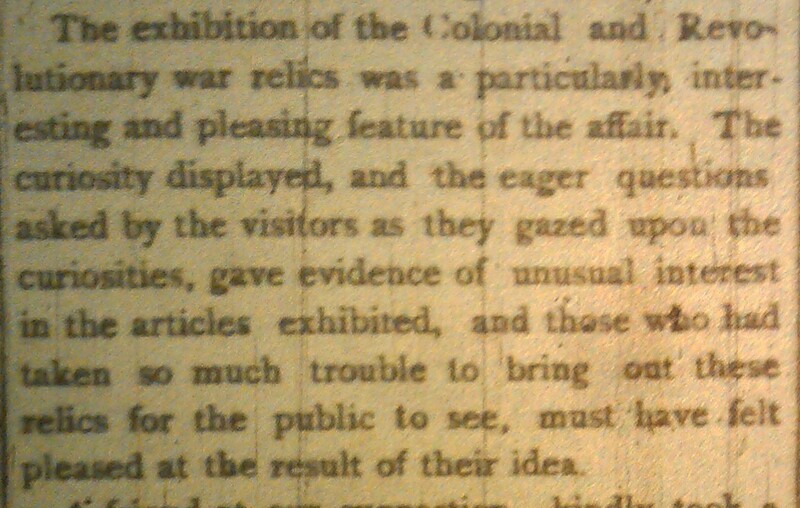 The visitors had the pleasure not only of going over the historic old place and admiring its colonial furnishings but they had the opportunity to see a very fine loan collection of Colonial and Revolutionary articles. Among the people who loaned articles were Nelson B. Mead, Mrs. Thomas F. Secor, Miss Elizabeth Howe Mead, Mrs. Addison Howe Peck, Mrs. M.A. Sharkey and Mrs. Gillelan. 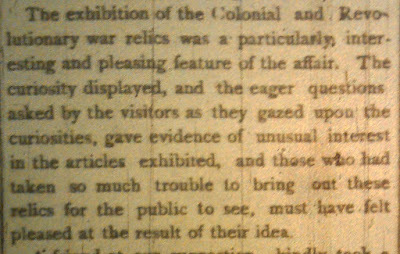 One very interesting thing that Mrs. decor loaned was not Colonial but it was none the less interesting. It was a large gold medal awarded the late Mr. Secor in 1849 by the American Institute of New York for the manufacture of low pressure steam engines. One of the things loaned by Mrs. Gillelan was a copy of a painting of her great-great-grandfather and great-great grandmother. Mr. and Mrs. Joshua Partridge of Medway, Mass. 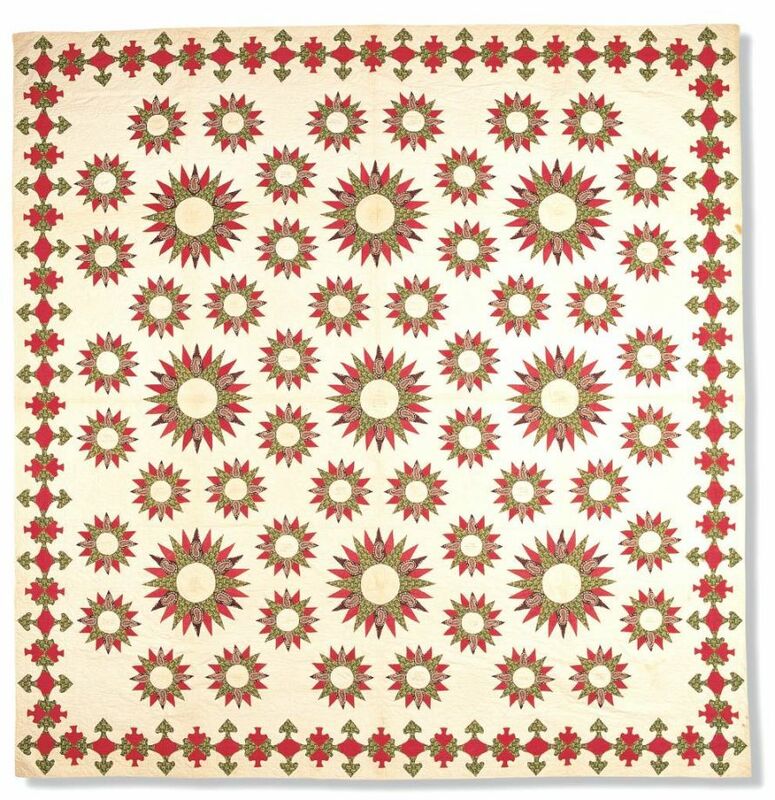 It is related that the first money which the gentleman earned when he was twenty-one was paid an artist for the painting of the original of the picture. The original hangs in the old Partridge homestead in Medway. 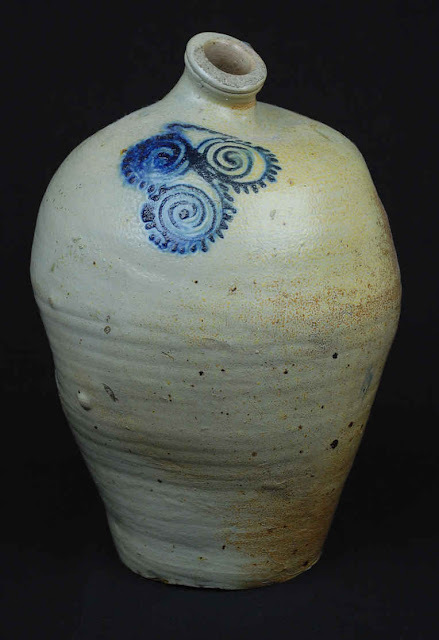 Among the articles in the Nelson B. Mead collection were pieces of pottery made by Captain Mead, better known as Deacon Potter Mead from 1791 to 1796. There was also a tea set which had belonged to Clarinda Mead. It was made in China and decorated in England. There were, too, some fine specimens of old pewter and Wedgewood ware. 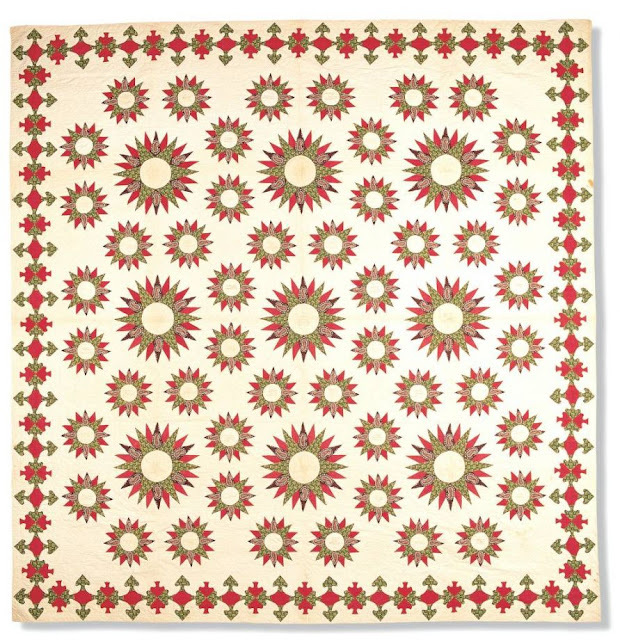 A sampler worked by Miss Elizabeth Howe's grandmother, Jane Mead, attracted considerable attention as did also the old warming pan, foot stove and plates lent by Mrs. peck. Mrs. Sharkey loaned _______ other things, some very fine old cut-glass decanters and glasses, a brass tea-kettle and some old brass and silver candlesticks. Among the many people who visited the cottage was Mrs. Edwin R. Fay, the organizer of the Society of Founders and Patriots and regent of the Fort Washington Chapter, D.A.R. of New York city. There were many prominent Stamford and Port Chester people present. During the day William Huffington of Sound Beach called at the cottage and presented to the chapter a fine early engraving of General Putnam leaving the plow on hearing the news of the Battle of Lexington and Concord. Another present was a gavel whose handle was made of wood from the old Putnam cottage, taken when it was being repaired several years ago, and whose head was made from the old Frigate Constitution. 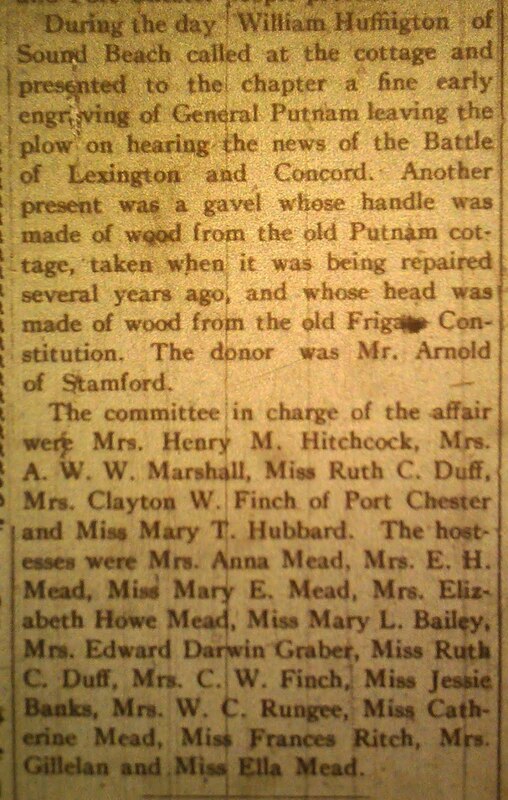 The donor was Mr. Arnold of Stamford. The committee in charge of the affair were Mrs. Henry M. Hitchcock, Mrs. A.W.W. 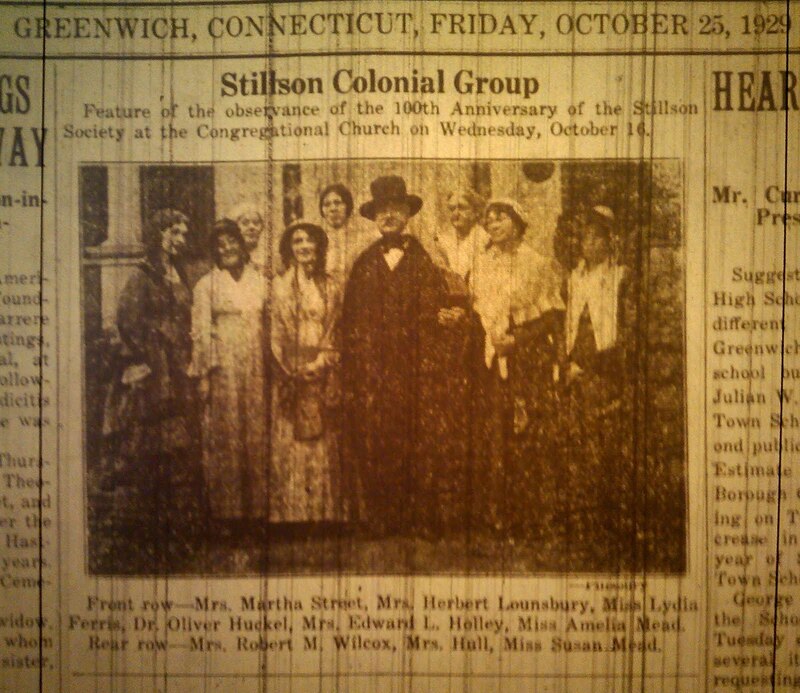 Marshall, Miss Ruth C. Duff, Mrs. Clayton W. Finch of Port Chester and Miss Mary T. Hubbard. The hostesses were Mrs. Anna Mead, Mrs. E.H. Mead, Miss Mary E. Mead, Mrs. Elizabeth Howe Mead, Miss Mary L. Bailey, Mrs. Edward Darwin Graber, Miss Ruth C. Duff, Mrs. C.W. Finch, Miss Jessie Banks, Mrs. W.C. Rungee, Miss Catherine Mead, Miss Frances Ritch, Mrs. Gillelan and Miss Ella Mead. Source: Greenwich Graphic. 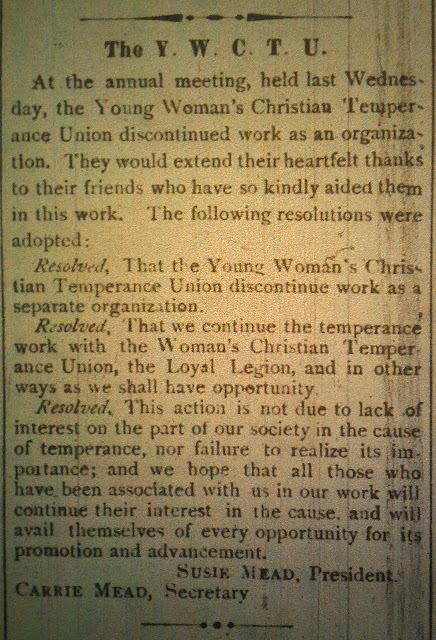 Saturday, December 17, 1898. Source: Greenwich Graphic. June 11, 1898. Page 1. 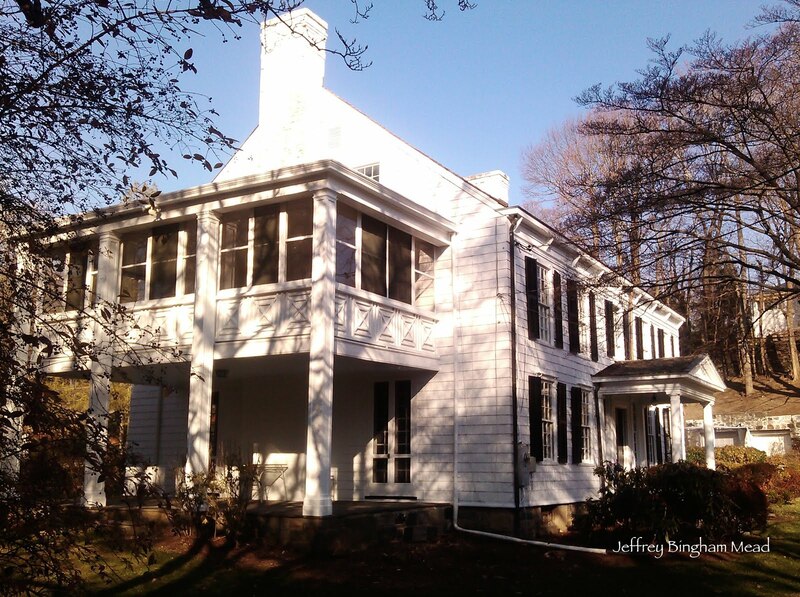 Hessians, British, Tories and Continental Soldiers, Occupied it at Various Times-The property Has Always Been in the Same Family. 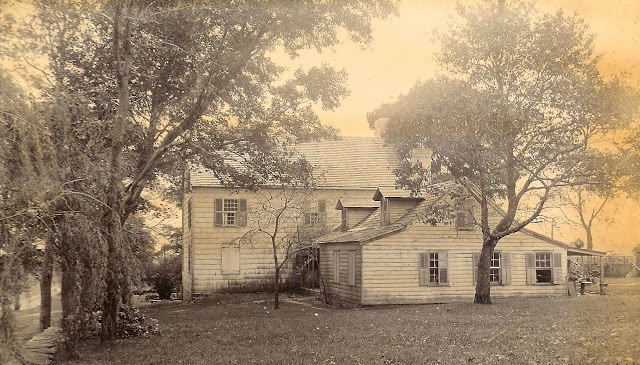 It looks old, dilapidated, deserted and forgotten; but hardly forgotten, for every old resident of Greenwich knows the house, and has heard the tales of how it stood there during the Revolutionary War. To-day it connects the old with the new; the past with the present; the early struggles of the colonies and the founders of the Union with the civilization of our times. Most forcibly does this old dwelling illustrate, standing there alone, with beautiful mansions nearby, filled wit every comfort that money can suggest, the growth and prosperity of the country covering a period of over 200 years. ...from the "red face" is still in possession of the family. The children of Judge Whitman S. Mead, who now reside there, are rthe seventh generation who have been born on the property. A log cabin was first erected on this site, but about 150 years ago this dwelling house was erected. About 50 years ago it was vacated, and the homestead just east of it and near the water was built. This property passed from John Mead, who owned it in 1686, to Ebenezer, to Ebenezer, 2d, to Jonas, to Jonas, 2d, to Charles Mead, who died, at an advanced age, a few years ago. At present the house is occupied by his children. 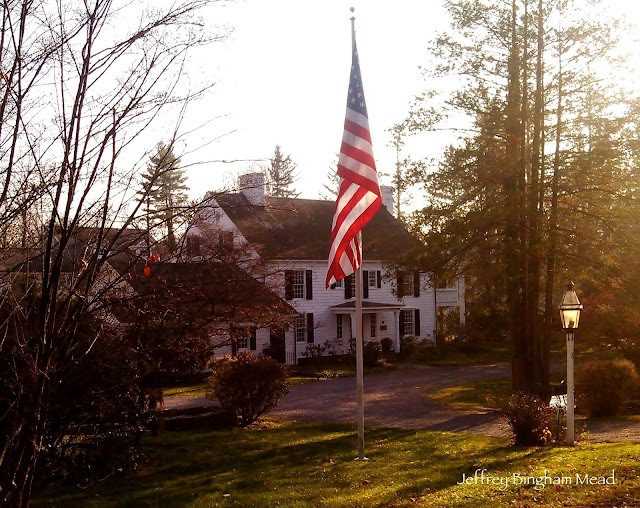 The old house belonged to anybody and everybody almost, during the Revolutionary War. At that period is was the home of Jonas Mead. The times here hard, and he was so annoyed by the Tories and British that he was obliged to vacate it. It was raided by Hessians, Tories, Cowboysd and Continentals, and had been used as headquarters at various times by the solders of both armies. It was so situated as to be an object of contention. It was stripped of pretty much everything it contained except what was in one room, which was afterward known as the second secret chamber. This room was not the result of design on the part of the builders, but developed by the swinging of a door. It was off the kitchen, but access was contained to it through a doorway at the foot of the stairs. The kitchen door swung in such a way as to conceal the door leading to this little room, sand the marauders never suspected the existence of such a chamber. When the family returned after the war they found everything in this part of the house just as they left it. It was built of big beams, as was the custom in those days. One of the braces was too long and was chopped off with an ax. This ragged end always remained sticking out beyond the others and was conspicuous. The original siding was split from a log and shaved with a drawing knife. This plot of land on which the old house is situated was considered one of the finest along the shore, and a favorite place for Indians to gather. It was called Indian Field to designate it from Horseneck Field, which is the part of land where Belle Haven is now located. When Greenwich was deeded to the white settlers by the Indians, they reserved 125 acres on the shore for themselves and Indian Field was the spot bordering the shore. The Indians had seen the white people make stone walls to divide their property and so they thought they would separate their land from the settlers by such a barrier. The had neither horses or oxen to work with, and the knew as much about making a stone wall as a cow does about handling a musket. They rolled stones for awhile and piled them up for a short distance, but they soon became very tired and gave up stone-wall building. This boundary mark they intended to stretch across from Indian Harbor to the Mianus river. The point where they commenced to build is nearly opposite the Held House, and the stones are still there, piled up Indian fashion, and remain a monument to this day to their engineering skills in wall constructing. In conversation with the late Charles Mead one day not long ago before he died, he said that while there have been many things raised on the farm, it had never raised a mortgage. This is perhaps the most remarkable things that can be said in connection with this famous spot. 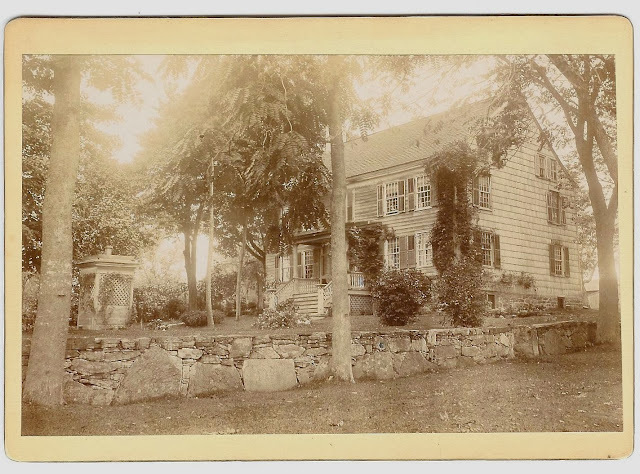 Near where the present residence now stands, the home of Judge Whitman S. Mead, is a field which has always been known to the family as the Wigwam. It is said that this hose was built of brick so that it could not be bombarded and set on fire, for in the War of 1812 houses along the shore of the Sound got a raking once or twice, and we are told that this one dwelling we have described was the target of a British frigate in those days. So the old house has its history, which like the ivy and Virginia Creeper clings about it, and makes it picturesque and interesting, but not forgotten, even though old and crumbling. The moss is thick under its eaves, and on its weather-stained shingles, and the swallows have taken undisputed possession of it, but while apparently neglected it is still in the public eye. Source: Greenwich Graphic. 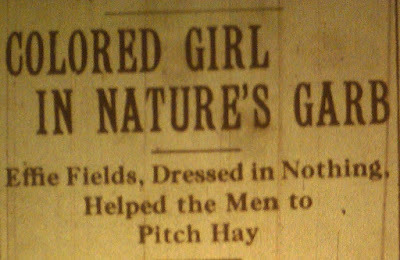 Saturday, January 30, 1892. Page 3. 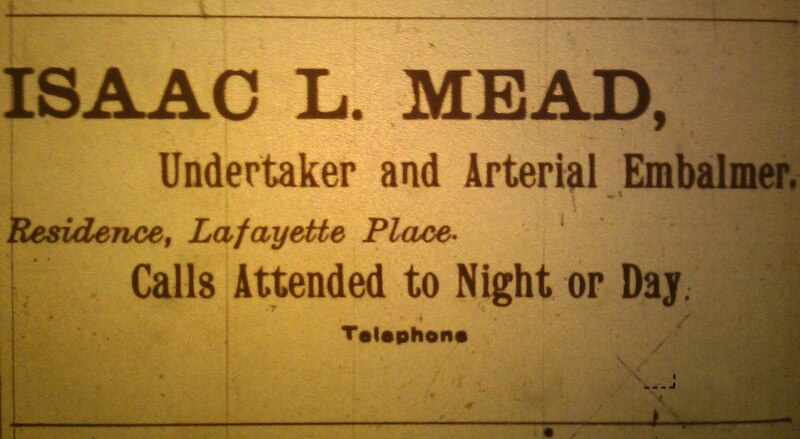 Undertaker I.L. 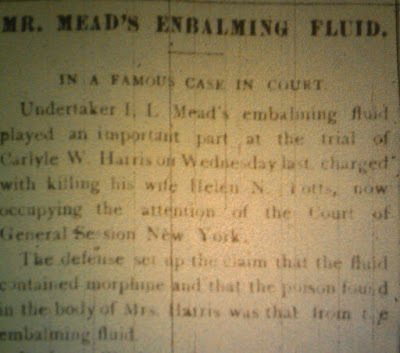 Mead's embalming fluid played an important part at the trial of Carlyle W. Harris on Wednesday last, charged with killing his wife Helen N. Potts, now occupying the attention of the Court of General Session New York. The defense set up a claim that the fluid contained morphine and that the poison found in the body of Mr. Harris was that from the embalming fluid. Professor Witthaus, the most noted chemist of the day testified that he made an analysis of Mr. Mead's fluid and found no morphine of quinine, that the ingredients were harmless in themselves and in no way should it be charged that the morphine found came from the fluid. 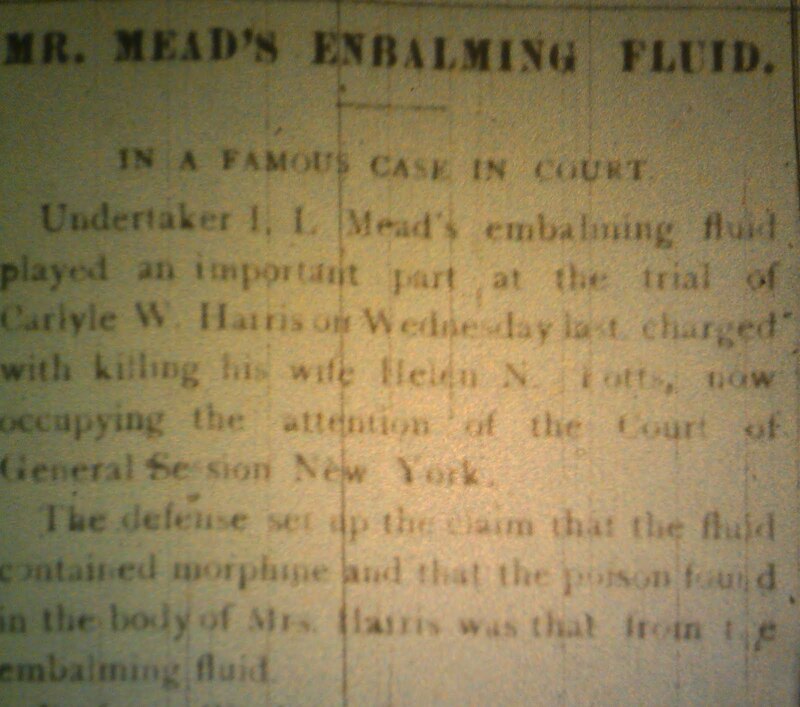 Professor Witthaus testified that he made an analysis of a quantity of Mead's embalming fluid, which he received from undertaker Vannett, and which the latter told him was taken from the same bottle as contained that used in embalming Mrs. Pott's body. In answer to Assistant District Attorney Wellman, Dr. Witthaus stated that in his examination of the fluid he found no morphine or quinine. 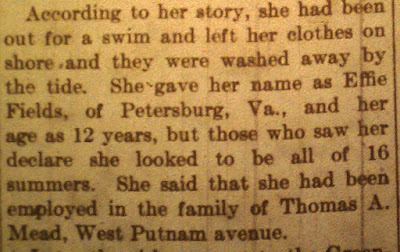 Counsel for the defense objected to the introduction of the testimony on the grounds that it was not proved that the portion of the fluid which the witness analyzed was the same as that used in embalming Miss Potts's body. The objection was overruled. Mr. Jerome in his cross examination of Dr. Witthaus, quoted largely from Professor Wormley's work on "Micro-Chemistry of Poisons." Dr. Wittlaus agreed largely with Professor Wormley. Source: Greenwich Graphic. 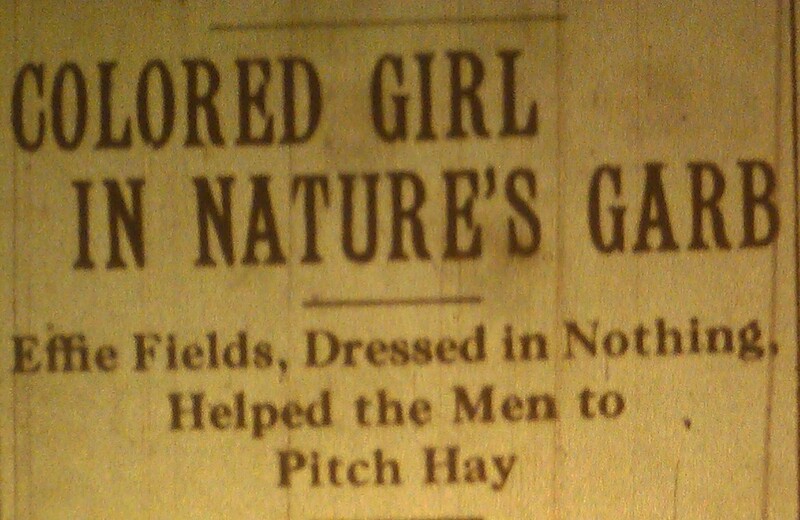 Saturday, October 23, 1897. Page 1. There are many old houses in Greenwich. So old are some of them that two centuries and more have gone since the moss began to grow upon their hand-cut shingles, and under the eaves, and the wind and sun touched them with the hand of time, those indisputable marks of age. Some of these old dwellings, could they speak, would tell of scenes which took place within their doors, or on the meadows nearby, of the Revolutionary War. Would point to the marks of Washington's spurs on some door or stairway, or tell what took place within their rooms when Genera Putnam shook his fist at a Tory or danced with a Greenwich belle. 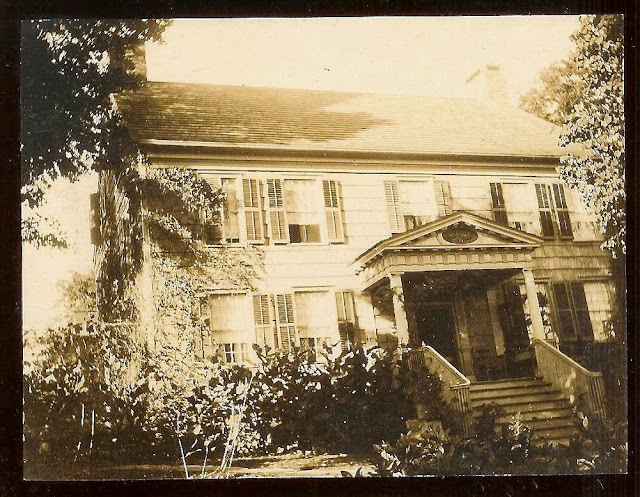 The Solomon S. Mead homestead, reportedly purchased by Dr. Fred Hyde, is located at a point in Greenwich exactly six miles from the railroad stations at Port Chester, White Plains and Greenwich. The dwelling occupies the site of one erected by Benjamin Mead in 1673. The old well near the back door was dug by the same ancestor, who was a direct descendant of the original John Mead. The present dwelling, with its quaint ____, its sloping, moss grown roof, and its latticed windows was the creation of a second Benjamin Mead, and dates from 1793. There is stands, to-day, well down to the sod, how studied and rambling, with the mammoth chimney and its colonial doors, a true type of a homestead of a century ago. Within are great rooms with exquisite paneling of ancient pattern, and great beams overhead and down the corners of the rooms. The fireplaces are broad and deep, and hold heat logs five feet long, while the mantels are white with delicate panels, and a tracery of vines that give grace and beauty to their angular structure. The stairs are broad and the treads are low, with a black walnut hand rail on one side. The sleeping rooms are large and low studded with many closets, some high in the room and some down to the floor, but all with little brass knobs and great brass hinges. About these rooms are displayed pieces of antique furniture, rich and rare, that are older than the house, and are a century and a hand old and more. There are settees and spinels and warming pans. Canopied beds and covered with white lace, and the sofa, tables and elegant sideboard stand in ________ crook and end in ferocious _____. With ______ use is just what is outward ________ indicates -a home of wealth and culture, modeled after the _____ home of a century ago. Here were born Obadiah, Mary. The twins Anna and Phebe. The family lived in the turbulent times of the Revolutionary war. They were ____ _____ and refinement, and _____ ____ to the American cause, stood _____ the cowboys and Tories and he ___, like methods of these encounters. The 130 acres about the homestead were planted with wheat and corn, and on one occasion were the subject of a British war ships in the Sound. The children were well grown then, with the exception of little Anna and Phebe, who hid with their mother in the cellar of the old house as the redcoats marched up the road. The father and the older girls barricaded the doors and windows, while Obadiah, the only son, solicitous for the flocks without, corralled them in the yard, then beat a hasty retreat t a neighbor's barn. An unfriendly Tory, knowing the fact, informed the British soldiers, who surrounded the barn, threatening to set fire to it unless he came out. He, too brave to surrender, leaped from the barn and ran across the orchard towards the rocks, above "Dyspepsia Lane." But the British followed, and seeing that escape was impossible, Obadiah surrendered, only to be immediately fired at and instantly killed. The ball passed through his left arm and entered his side. For several generations the place of his burial was a sacred spot to the members of the family, and now, though unknown, is not forgotten in memory. 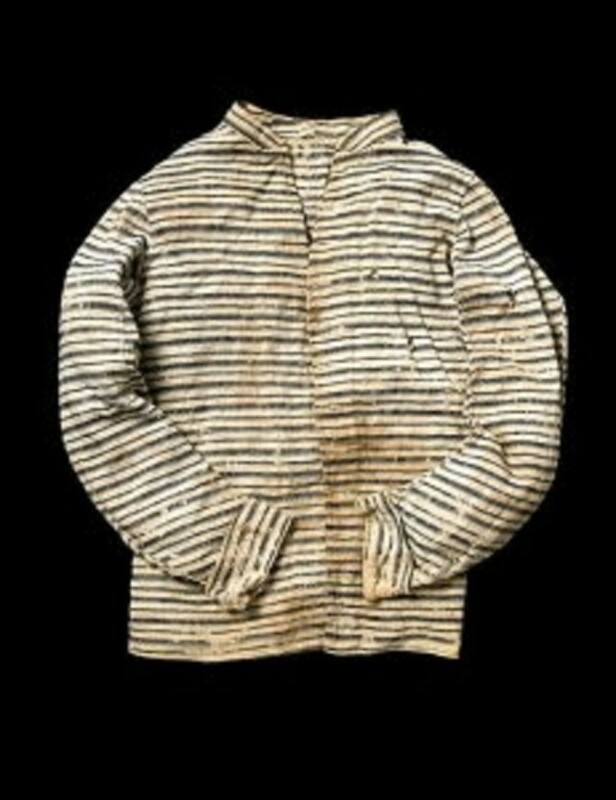 The coat he wore, showing the bullet holes and bloodstains, has been preserved all these years, and is now owned by Solomon S. Mead. After killing the only son, the red coats forced their way into the house, but unable to find the father, they departed, taking with them the horse and all the geese. The house has for many years been famous as a place for summer boarders who passed the leisure of July and August days beneath the shade of ancient trees and waxed fat at the plentiful table of Farmer Mead. But in 1896 Mr. Mead sold the old place to his cousin, Dr. Hyde, also a lineal descendant of Benjamin Mead. While the present owner has spent a large amount of money improving the place, he has shown his wisdom and good taste in preserving the lines of the ancient house. Source: Greenwich Graphic. Saturday, December 4, 1897. Page 1. The Col. Thomas A. Mead Homestead-A Colonial Dwelling. The ancient dwelling and the old button ball tree, do you know them? Of course you do or you haven't lived in Greenwich a great while. The house is spoken of as the old Colonial Thomas A. Mead homestead, and its hospitable doors have opened and shut for one hundred years to members of this Mead family and their friends, and the stranger is often sheltered there. And what a grand old dwelling it is, at once suggestive of refinement, quiet and comfort. Nowadays such houses are fashionable, and they call them colonial, but, as usual the imitation has not the beauty in any respect of the original. 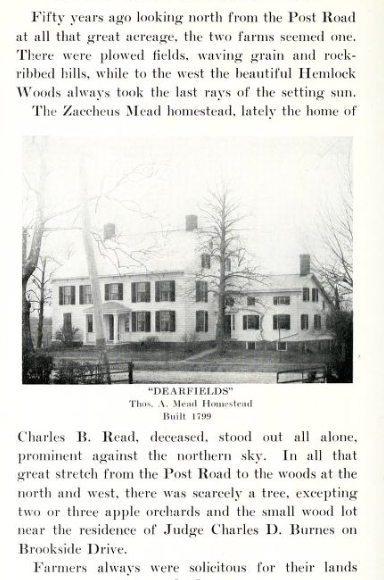 Dr. Amos Mead, who built the house, was the father of Col. Thomas A. Mead, and it is the homestead of this branch of the Meads. When Richard Mead was about to take to himself a Colonial dame to share his lot, his father, the doctor, built this house and gave it to him, as a wedding gift. It was called "Dearfield," the dear spelled with an a and not two e's. It was built in 1797, so the knocker on the door says, and cast a "pile" of money for those days, and its frame went abroad for miles around as being a great and magnificent home, and one of the sights of the times. The old brass knocker on the front door still holds its place as of old, although there was a brief season when it was relegated to the garret because the door bell had pushed it aside, but 'twas only for a time, for Miss Lucinda Mead, while rummaging in that top room, discovered it on its resting place, a beam, where it had grown green with verdigris, and took it down, polished it to its former brightness, and put it back on its old friend, the door, where it has remained ever since, admired by all lovers of things antique, and readily seen from the street by the passerby. When Richard Mead died the house came into the possession of the son, Col. Thomas A. Mead, who was in his day one of the prominent citizens of Greenwich, sturdy, staunch, and true, a type of the men who made New England famous and America what it is to-day. Col. Mead, during the last few years of his life, used to be fond of sitting on the pitch near the front door and watching the boats on the Sound. He loved that beautiful marine view. And it certainly is one of the most charming pictures to be found anywhere. One day Wm. M. Tweed sent word to the Colonel that he would like to buy the lot in front of his house, and asked him his price. "I have no price," said the Colonel. "Go back and tell Mr. Tweed that I don't care to put my eyes out. No, no, tell Mr. Tweed I don't care to sell it. It's worth more to me than money." And on the long summer afternoons, only a few years ago, he used to sit there, "All the landscape like a page perusing." The house is now occupied by a daughter, a grand-daughter and a daughter-in-law of Col. Mead. The immense button ball tree, which stands directly in front of the house is a landmark. We doubt if there is another tree of this kind in the State of its size, and don't dare to say what its diameter or circumference is near the ground. As it stands in the picture, but a faint idea of its proportions can be discerned. he captain of every Sound steamer knows it, and oystermen use it as a mark to find their grounds. It was planted about 1700, so that it is nearly two hundred years old. When Gen. Lafayette passed through Greenwich in 1824, and was given a reception at Put's hill, he stopped, it is said, at the top of the hill in front of Colonel Thomas Mead's and alighting from his carriage, shook hands with a number of people who were there awaiting his arrival in town beneath this grand tree. The top of the old landmark is gone, it was used for firewood in the days when the British red coast chased Put down the hill. Coal they did not have in those days. It had been a snowy week, and the wood pile had disappeared. Danger lurked on every side, it was not possible to go to the woods to replenish the fuel and so the top of the button ball was cut off to be used for firewood. Will the two rather the storms of another one hundred years, will changes be made as great around them as have taken place in the century just passed? Source: Greenwich Graphic. Saturday, January 2, 1898. Page 1. President Dole, of the Sandwich Islands, the man who is doing more to bring about the annexation of these Islands to the United States than any other one person, is now in Washington. He has just arrived from these Islands of the Pacific. He is here now in the interest of annexation. He has made himself conspicuous throughout the world by the able manner in which he has carried the Islands through the great difficulties of a change of government. Of course Greenwich people are interested in him. Why should't they be? His name is Sanford B. Dole, and he was called Sanford out of respect to Sanford Mead. He was born in 1847 in Hawaii and is the son of Daniel Dole and Emily Ballard, both being natives of Maine. 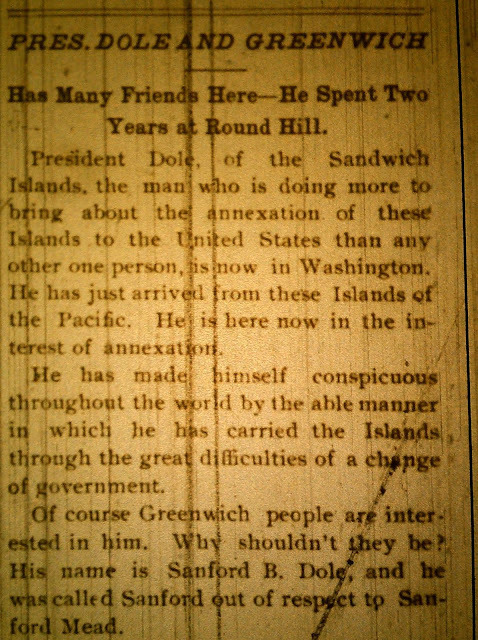 Daniel Dole went to the Sandwich Islands in 1832 as a missionary. His wife died there in 1849, and he married Miss Charlotte Close Knapp Dole, who had gone to the Islands as a teacher, and who was a daughter of Gilbert Close, of Stanwich. Sanford B. Dole really knew no other mother than the second wife of his father. Rev. Daniel Dole, and his second wife Charlotte Close Knapp Dole, formerly of Greenwich. President Dole began his studies in the Sandwich Islands and completed his education in this country. He came to the United States in 1860, when he was 22 years of age, and made his home with Isaac O. Close and wife at Round Hill for two years, and then went to Williams College, from which he was graduated. He read law in Boston and returned to the Sandwich Islands in 1871. 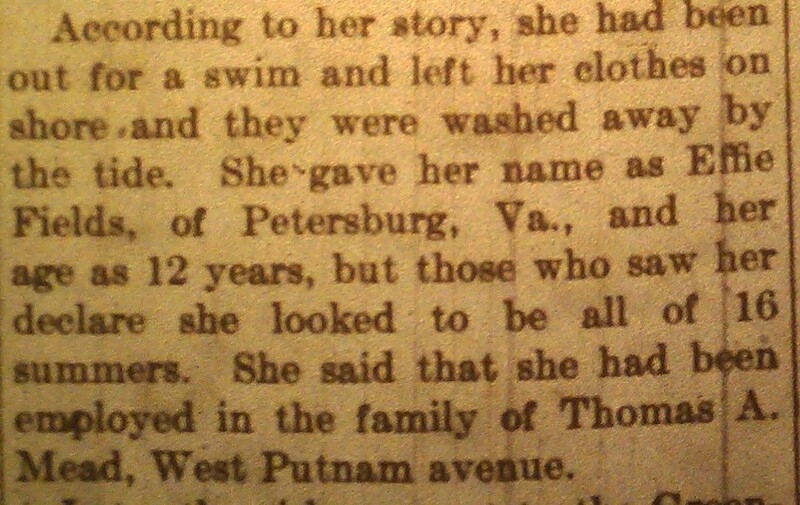 In 1873 he married Miss Annie Kate, a young lady from Maine. He met Miss Kate in the Sandwich Islands, where she was visiting, but was married in Maine. Twice since that time he has visited he United States, the last time in 1891. He practiced law in the Islands and occupied, before he became President, very important positions of trust. President Dole is a tall man, a little over six feet in height, wears a full beard and weighs about 180 pounds. His presence is dignified and commanding. He is quite well known in Greenwich, and was the guest in 1891 of the late Charles Mead at Charles Mead Point. It is hoped that he will not forget that Greenwich is but a short distance from Washington. 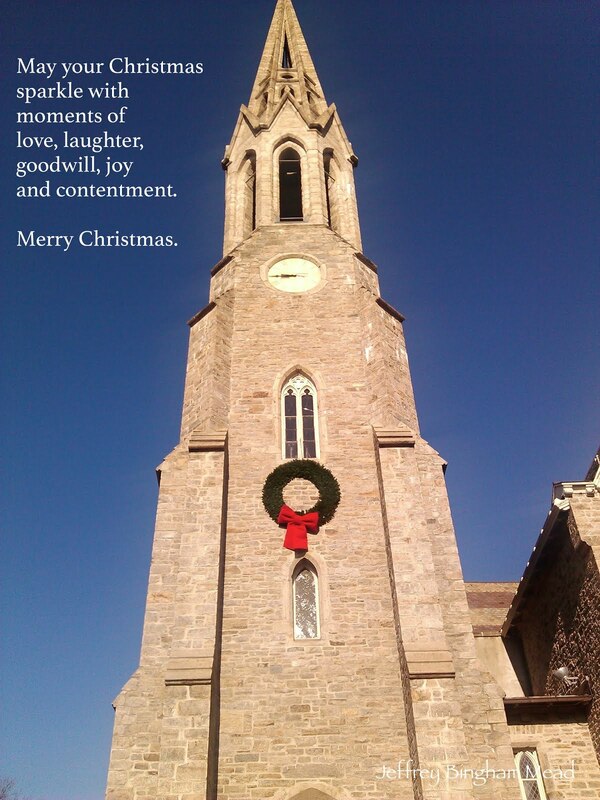 He would receive a cordial welcome from our townspeople. Source: Greenwich News and Graphic. Friday, October 25, 1929. Source: Greenwich News and Graphic. Tuesday, October 29, 1929. Old photographs have a marvelous way of awakening interest in a place and of recalling citizens of other days. 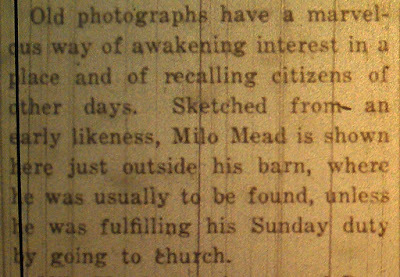 Sketched from an early likeness, Milo Mead is shown here just outside his barn, where he was usually found, unless he was fulfilling his Sunday duty by going to church. 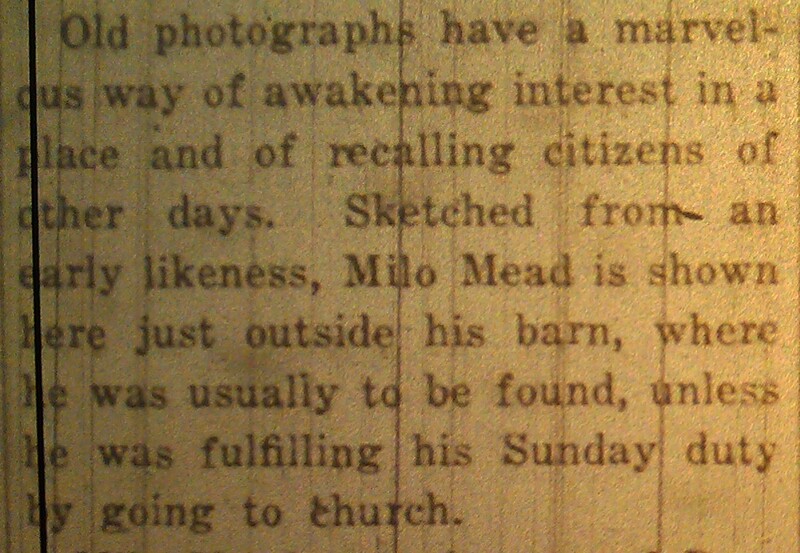 Milo Mead was the son of Deacon Jonas Mead. During the early eighties, he decided that the shore lands, bordering the Byram River, could be made into a thriving investment. Deacon Mead had left by will considerable property to __ his sons, Milo and Mark, but the former appears t have been the typical up-and-coming financier of the family. The vast farmland which Milo now owned was cut up into small lots, for which he obtained the sum of $200 per lot. Doubtless a fair-sized sum of money, when one considered a fortune at that time. What was sold, and built upon, the entire section bordering this side of the river was called Meadville. But some years later this name was changed to New Lebanon, which still clings, I believe, in connection with the titles of certain buildings about this neighborhood of and the Lebanon dock, situated in what is now known as East Port Chester. A misleading name is this East Port Chester, for there and some people who still believe that they are residing outside the township. After this land was plotted out of Greenwich. When Milo Mead was asked why, he changed the name of Meadville to New Lebanon, he replied that it was because of the cedar trees which grew abundantly along the shore, since they reminded him of the cedars of Lebanon mentioned in the Bible. Milo Mead lived to a good old age. 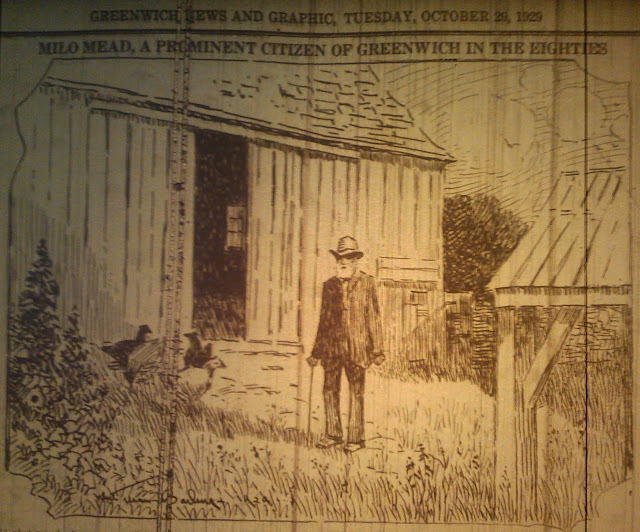 He was always keenly interested in the development of Greenwhich [Greenwich] until he died, August 2, 1906. On that day the town lost a much-beloved and worthy citizen. Source: Greenwich News Graphic. Tuesday, October 1, 1929. Page 1. 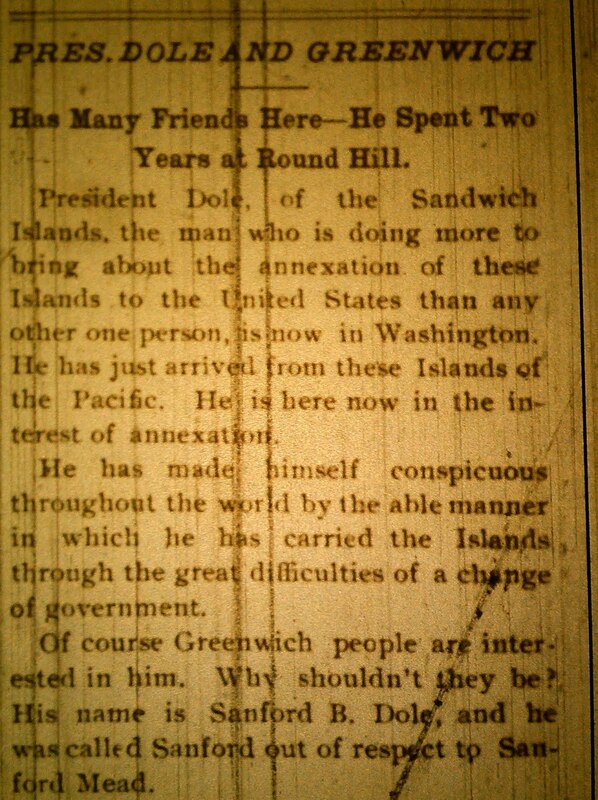 From 'Other Days in Greenwich,' by Judge Frederick Hubbard. 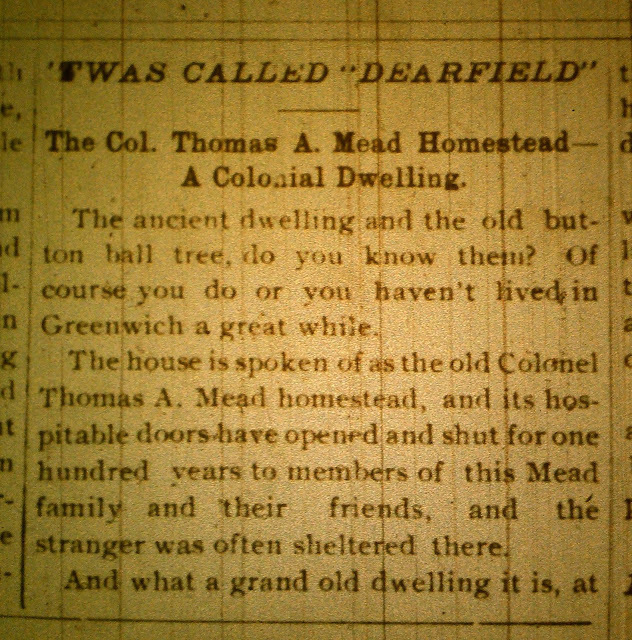 The old Colonel Thomas A. Mead homestead on West Putnam Avenue, one of the old landmarks of the town, is being moved from its present original location facing on the Boston Post Road, to Grove Lane. The house and property were purchased from Mrs. Norman T. Reynolds, the former owner, by the Turnpike Corporation, of which Ralph E. Brush, senior member of the law firm of Brush & Hanan and a life long resident of the town is president. 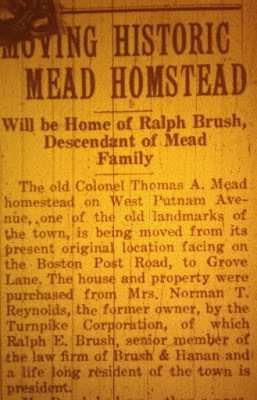 Mr. Brush had more than a passing interest in the old Mead homestead and by a special arrangement with the Turnpike Corporation, he took possession of the old homestead and is now having it moved on about an acre of ground at grove Lane, and with his family will occupy the premises as their future home. 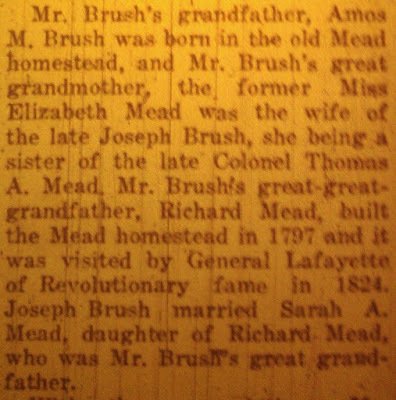 Mr. Brush’s grandfather, Amos M. Brush, was born in the old Mead homestead, and Mr. Brush’s great grandmother, the former Miss Elizabeth Mead was the wife of the late Joseph Brush, she being a sister of the late Colonel Thomas A. Mead. 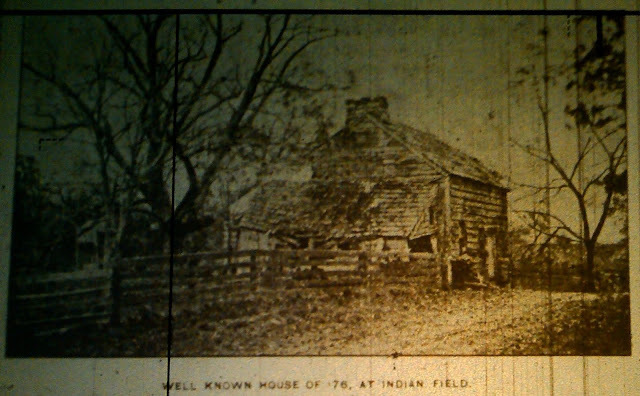 Mr. Brush’s great-great-grandfather, Richard Mead, built the Mead homestead in 1797 and it was visited by General Lafayette of Revolutionary fame in 1824. Joseph Brush, married Sarah A. Mead, daughter of Richard Mead, who was Mr. Brush’s great grandfather. With these associations, Mr. Bush was anxious to preserve the old homestead and so decided to take it over, move it to his own property and make it his future home. Some time ago, Mr. Brush acquired the late Judge R. Walsh property on Dearfield Drive, through which estate Grove Lane is a part. The house is being moved back by the way of Dearfield Drive to the site on Grove Lane and it will face toward the Post Road. Five generations have lived in the old homestead. The late Colonel Thomas A. Mead fought in the Revolutionary War and upon his death, his son Zophar Mead became the owner. 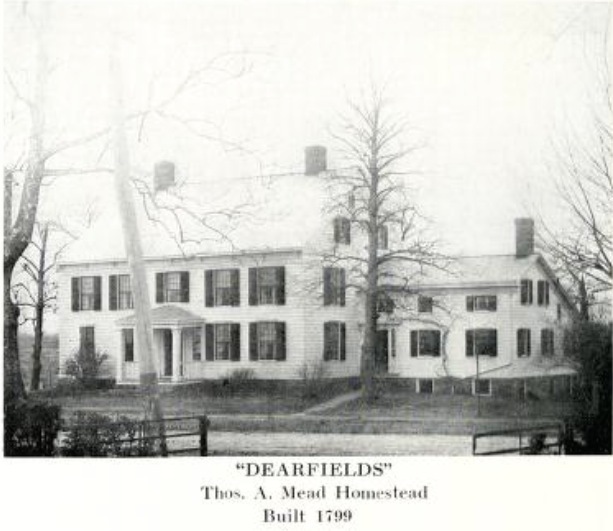 When he died his daughter, the former Miss Bertha Mead, now Mrs. Norman T. Reynolds, inherited the old homestead, which she later sold to the Turnpike Corporation. The former site of the Mead homestead with land adjoining is retained by the Turnpike Corporation and it s planned to erect one or more buildings on the property containing stores and apartments, in the near future.